In short, this is a complex leafy green citrus. Unisex and a lovely everyday scent with good longevity that has a distinct uniqueness to it. I used the sample that came with the full bottle for a few days and decided that it was pretty cheap and generic smelling with little staying power - citrus room spray? It was so bad, I had actually decided that the whole brand must be all price and marketing without actual quality (Replica, anyone?). Decided to return the full bottle but in the end just couldn't be bothered with the postage so after about a month opened and sprayed the full bottle.... and so glad I did! The full bottle smelled nothing like the sample and was so much better. 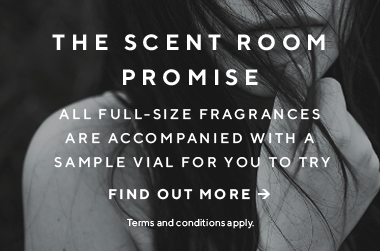 The scent room promise is a great idea in theory, but just be aware that in my experience samples are a watered down inferior product (I have found this with mini sets as well), so don't be too quick to judge the real thing. a woody, fresh, spicy scent leaning more towards the masculine side. I found it a bit overpowering like you've been thrown into a forest. It's an interesting scent that will make you stand out in a crowd.